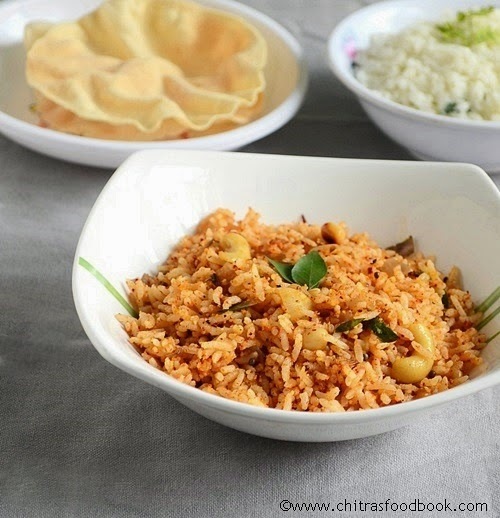 Last week when I was thinking about easy Indian lunch box recipes, I reminded about this peanut rice recipe (Groundnut rice, Verkadalai sadam in Tamil). As Sendhil loves peanuts, I tried this rice without any hesitation. 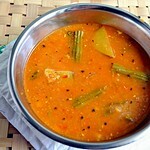 I referred some websites for this verkadalai sadam recipe and came up with my own combination. 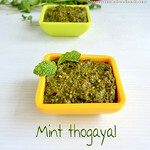 Its a quick fix recipe for bachelors and working women to make it easily in busy mornings. Even kids would love to take this rice for their lunch box. Just a papad or vadam is enough to have a box full of this peanut rice. If you have roasted & de skinned peanuts ready in hand, this rice can be prepared very easily and quickly. It comes out flavourful and tasty too. Sendhil liked it very much. It can be made with leftover rice too. 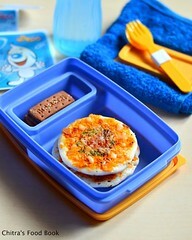 Friends, if you are looking for some easy lunch box ideas,do include this recipe. 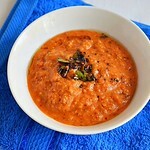 To get a nice color for this rice, I used Byadgi chilli which is very famous here in Karnataka. It gives a bright red color to the dishes. So I use these chillies for my chutneys, kurma and bisibelebath. If you use normal red chillies, the color of this rice will vary but taste would be the same. Ok, Lets see how to prepare this peanut rice with step by step photos. I clicked this picture in a hurry while Sendhil was rushing to his office.So please bear with the clicks. Pressure cook the rice adding enough water and a drop of sesame oil. Rice should be grainy and separate.Spread in a plate and allow it to cool down. In a kadai, heat oil and roast sesame seeds,chillies,coconut,pepper corns & urad dal. Roast till golden brown. Roast coconut till it becomes dry. Then let it cool.Grind everything coarsely. To this add roasted peanuts, salt and run the mixie twice or thrice. It will become a coarse powder. 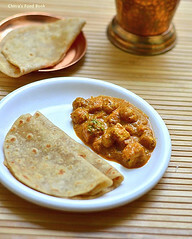 Heat ghee or sesame oil in a kadai and do the tempering adding reserved peanuts & cashews.Saute onions & set aside. Add the ground powder,tempered ingredients to the cooked rice.Mix well.Add sesame oil or ghee while mixing.Check for salt. U can prepare this rice using leftover rice too. Roast the coconut well else the mixture will become a paste while u grind.U can also use dry coconut/Koppari instead of fresh coconut. 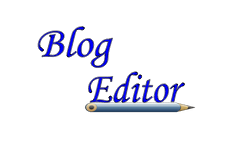 Do not run the mixie continuously for long time.Open every now and then,scrape the sides and grind. Add sesame oil or ghee while mixing.It gives a nice flavour. U can omit onions and make it as no onion no garlic recipe too.It tastes good. 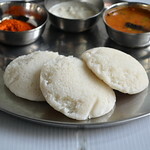 I had this rice with over roasted papad.It was yummy ! Making one pot meal is bliss... though i tasted the peanut along with variety rice, i never tried as such as peanut rice. Must be flavor able. love this peanuty , coconuty rice, love to see you at my space dear. oh lovely peanut rice .Adding of sesame gives a very nice aroma too. I can have a bowl now, just love the flavors in this rice.. 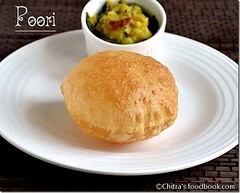 Very nice recipe chitra will try 2nite itself,will let u know Hw it comes out. Looks yummy and easy to make rice . healthy lunch box dear..yummy flavorful rice !! Very new to me looks very tempting! aromatic rice...i love anything prepared with peanuts...yummy.. 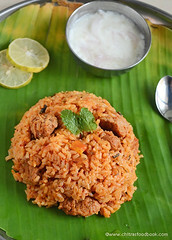 Excellent rice recipe, very tempting click with appalam, superb. Bookmarked. 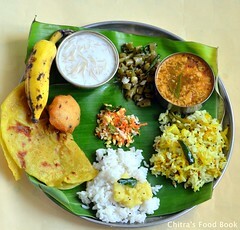 Hi chitra,prepared n came out very well my kids loved a lot. Healthy & yummy rice!! Wonderful lunch box menu! !